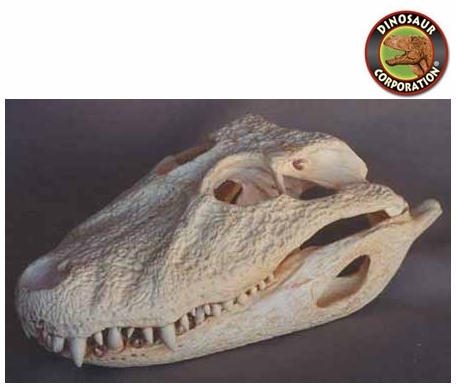 Broad Nosed Caiman Skull Replica. Caiman latrirostris. Central America sluggish streams and back waters. * Material: Museum quality replicas are cast in durable Polyurethane resins. The Broad-nosed Caiman can immediately be recognized by his blunt, round-ended snout making him look small-headed. This species is most frequently encountered in the Low Chaco, and you may be surprised to hear that water snails form a major part of its diet! They are commonly found on temporary pools, being forced to undertake local migrations as they dry up.